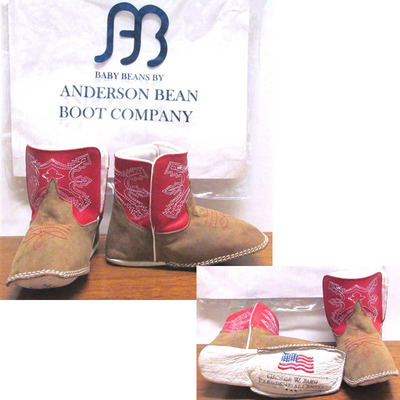 Our baby boots are handcrafted by Anderson Bean Company with allleather construction and singlewelt stitching. The George W. Bush Presidential Center logo is stitched on the sole of the boot. Vamp leather Bone Antique Goat. Top leather Red Glove. Toe DB. Heel None. Made in the USA.